What is P-Squares Decision Process (P-Squares) ? The P-Squares Decision Process (P-Squares) is a systematic approach to examining options and a necessary precursor to decision-making. It's a important time management, more specifically, personal effectiveness tool. 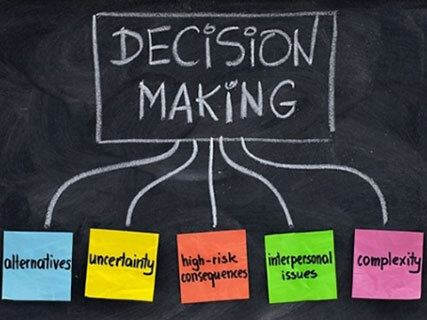 It emphasizes specific parameters, priorities, principles and the process necessary to evaluate aspects of decision making before committing. The P-Squares Decision Process' prime purpose is to facilitate effectiveexecution of decisions. Specifically, P-Squares helps you focus on the important rather than the urgent to reduce daily stress and to let Jesus shine as you implement decisions. P-Squares helps you apply biblical principles to do each project at home, work or elsewhere, and so you will approach each with a positive attitude. Before starting a project or a job, you will evaluate the likelihood of using biblical principles, and God's priorities, achieving its goals with available resources, and so gain confidence to carry it out. P-Squares helps you see the need to count the cost and consider the full implications of each project before commencing, and so, rarely will you over-commit to projects. As well, you will mitigate or eliminate likely negative effects when you undertake each new activity with this attitude. Develop the attitude to apply the P-Squares Decision Process before committing to decisions. Until you become comfortable with the process, note on a piece of paper, answers to relevant questions for each P-Square quadrant. Success (Philippians 3:7-10): Knowing Jesus as Lord and Savior is the first step. Work (Colossians 3:23-24): Do your best, accept and learn from the results. Time (Ecclesiastics 3:1-8): Each of us has 24 hours daily. We need to seek God's timing. Today (Psalm 119:60): Accept today as it is; not what you would like it	to be. Do God's will. When you accept these parameters, you will know you have enough time to do everything God wants you to do. You will not worry about the outcome of a job but you will concentrate on doing your best, confident God will guide you. This attitude shows success as input driven, not as an output! And so you start a job knowing you will be successful because you will lean on God and do your best! After each assignment you review the results critically to see how you could have improved it. You take this learning to the next job, and repeat the cycle. Next, focus on priorities. You must work with right priorities. People will tell you to live a balanced life. However, for the Christian, Jesus is number your number one priority. Therefore, unbalance your life by placing Jesus clearly as your number one priority and your spouse, number two. Principles, the third P-Squares quadrant, emphasize values to guide you in your daily tasks. Reflect and assess briefly this aspect before accepting a project or task, but most important, apply them each day to existing tasks. Neighbor Principle: Love the Lord Jesus with all your heart, soul and mind and love your neighbor as yourself. Generally, this will lead to your desire to model Jesus in all your actions, and to do to others as you would like them do to you (Luke 10:25-36). Journey Principle: Reflect on these two truths before taking an assignment and know God is with you: Proverbs 3:5-6, Trust in the LORD with all your heart and lean not on your own understanding; in all your ways acknowledge him, and he will make your paths straight; Psalm 119:105, Your word is a lamp to my feet and a light for my path. For more on the P-Squares, see Managing God's Time, chapters 8-12.